The Crusaders were known for their love of mixed protection, preferring to be light and mobile and well protected by pieces of armor. These Bohemond Leather Bracers are inspired by Crusader design, named after a Crusading general. Later known as Bohemond I of Antioch, Bohemond was a crusader and a noble, born in Calabria, Italy, who came to be one of the leading warriors of the First Crusade. These bracers are crafted entirely in rigid 9-10 and soft 3-4 oz. leather, which allows these bracers to strike a near-perfect balance between rigidity and flexibility. This is done with a combination design, using the soft, supple leather to create a cannon that wraps the forearm, reinforced with stiff, rigid, square leather plates, which are riveted to the leather cannon to provide all the protection that the arm could need. 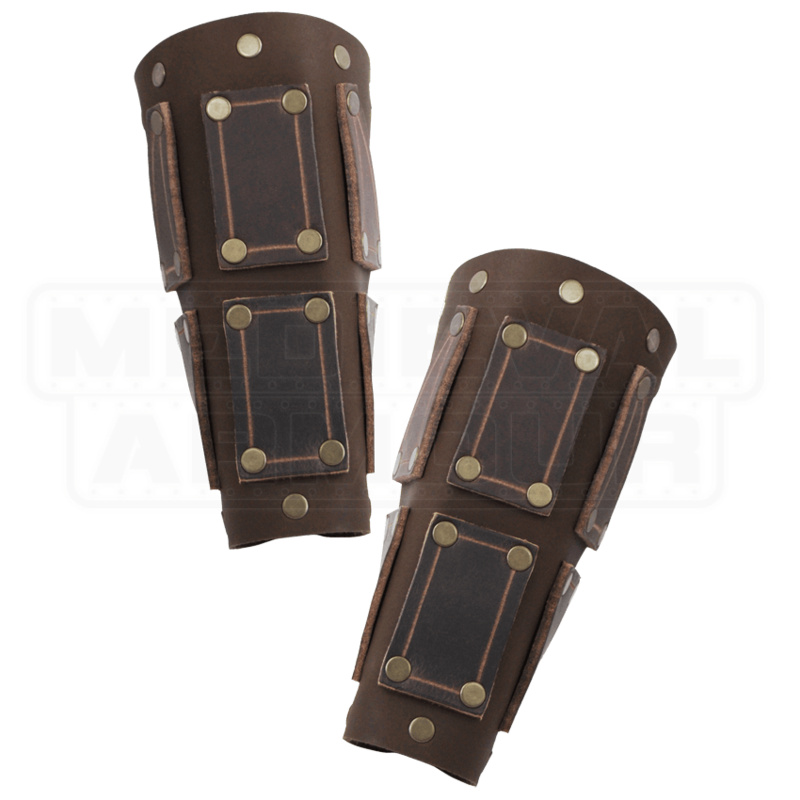 The bracers are offered in one size and are laced up in the back for closure, which helps to make them quite adjustable in terms of sizing. When it comes to protection, the Crusaders knew how to strike a perfect medium of lightness and effectiveness. That makes this group of warriors one to emulate. 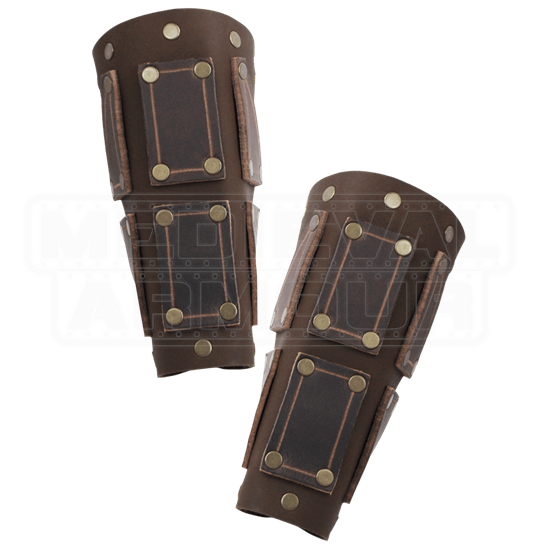 And you can do that easily, by donning these Bohemond Leather Bracers as a part of your battle attire. Good Piece. The leather straps could be 10 inches or so longer. Wearing these over gloves will require longer leather ties, but outside of that, very nice. They will age well. I have largeish forarms and these fit and do not look too small or anything like that.